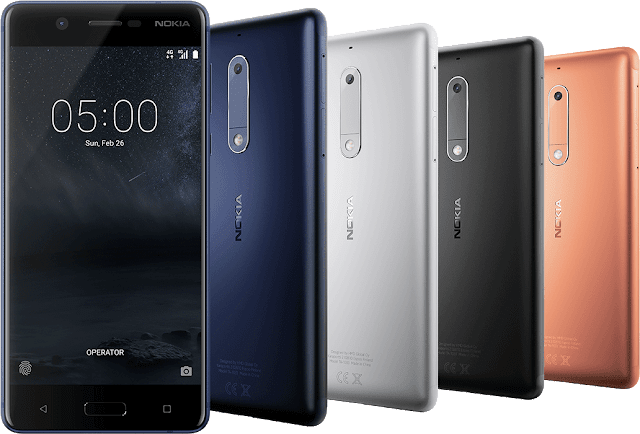 LoveNokia | Latest News and Information about Nokia Mobile: Nokia 5 is now available for purchase in India!!! Nokia 5 is now available for purchase in India!!! Nokia 5 is now available for purchase in India and the phone will be exclusively available only from offline stores. HMD Global has also reduced the price of Nokia 5 to Rs.12499/- from an earlier price tag of Rs.12899/-. Initially, Nokia 5 will be available only in Matte Black color option. While other color options like Copper, Silver and Tampered Blue will be available in coming weeks. You will also get to take advantage of offers from Vodafone and MakeMyTrip. If you are a Vodafone user you can get 5GB data per month at Rs.149/- for 3 months. You can also get Rs. 2500 off (Rs. 1800 on hotels & Rs.700 off on domestic flights) on Makemytrip.com. HMD Global, the home of Nokia phones, announced the availability of Nokia 5 in India starting August 15, 2017. Nokia 5 is a sleek and compact Android smartphone that nestles in your hand. The Nokia 5 has been precision engineered out of a single block of 6000 series aluminium to create a perfect pillowed body that flows seamlessly into the laminated 5.2” IPS HD display with sculpted Corning® Gorilla® Glass. Featuring a ground-breaking innovation in antenna design the Nokia 5 brings robust structural integrity, attention to detail and the quality of a high-end flagship. 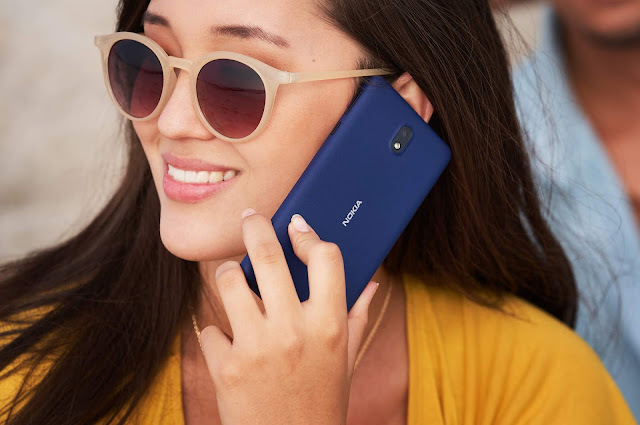 Powered by the Qualcomm® Snapdragon™ 430 mobile platform, Nokia 5 delivers excellent battery life, improved graphics performance – all in a package that perfectly balances everyday usability with a premium quality design. With the latest Android 7.1.1, the Nokia 5 delivers a pure Android experience, giving you the ability to use your phone, your way. Nokia 5 will be available across top mobile retail stores in the country at a recommended best buy price of Rs. 12,499/- starting August 15, 2017. The Nokia 5 is available in four distinct colours – Matte Black, Silver, Tempered Blue and Copper. At sales start, consumers will be able to buy Nokia 5 in Matte Black. Silver, Tempered Blue and Copper will be available in the coming weeks. “As a result of the sophistication in smartphone functionality and services, we spend more time than ever before on our phones. People today want something that fits in the palm of their hands and they want something that will go the distance. Nokia 5 is the ultimate pocketable phone at 5.2 inches with a very unique design,” says Mr. Ajey Mehta, Vice President- India, HMD Global. Milled from a single piece of aluminium, the Nokia 5 features a ground-breaking innovation in antenna design, resulting in a beautiful 3D curved finish that has an uninterrupted purity to its body. In combination with its tough-wearing sculpted Corning® Gorilla® Glass, your smartphone has the best protection from everyday bumps and bangs. In keeping with the Nokia 5’s elegant design, the 13MP Phase Detection Auto Focus camera has been beautifully integrated into the body. Bringing with it a dual tone flash to mimic ambient light, the camera has been optimised for all light conditions, delivering sharp low light images and capturing natural colours and skin tones indoors and out. With the Nokia 5 you will have a pure Android experience for your device. With monthly security updates your Nokia 5 is safe, up-to-date as well as clutter-free – putting choice at the heart of the consumer experience. And with the latest Android comes the latest features including Doze, which saves battery life while the phone is stored. Your device is secured with the Nokia 5 biometric fingerprint authentication, delivering enhanced security and making the Nokia 5 a versatile companion whatever your needs. The new Nokia 5 features Google’s most recent innovation, the Google Assistant, building further on a great Android experience. Our teams have worked together to ensure the Google Assistant is integrated, allowing for conversations with the Google Assistant to take place easily on Nokia smartphones. 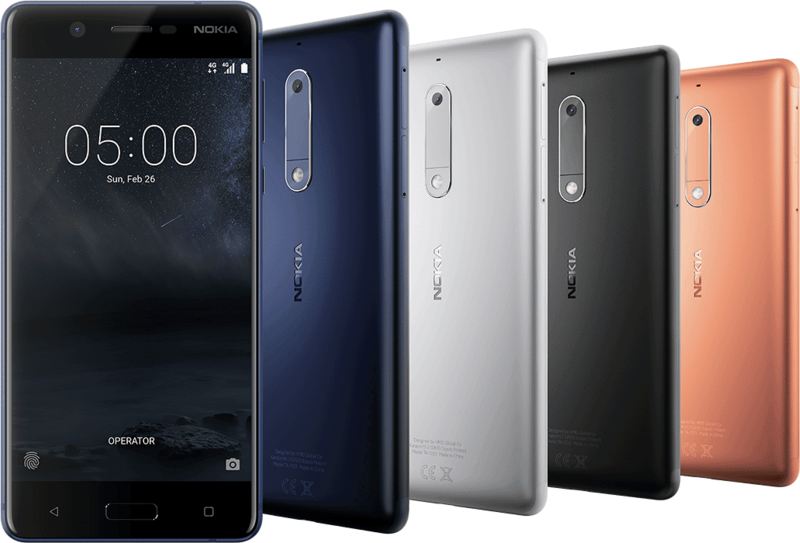 Check out all Nokia 5 specs by clicking here. Check out the hands-on videos of Nokia 5 by clicking here.